“No! No! No! Yesssss!” Unfortunately, I am not reviewing an "adult" toy (Hey Christine and Steph, can I do a product review of an "adult" toy for BYDLS?) 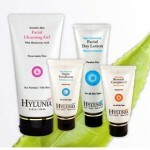 I am talking about why I love Hylunia products. The line has no preservatives, no parabens and no lanolin, which makes it a big yes for me! 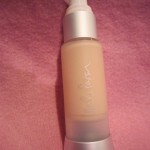 Product Review Nicole Paxson “Mimosa” Liquid Foundation: Put Your Best Face Forward!